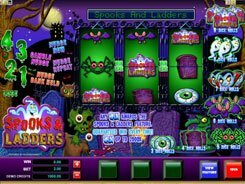 Played over 5 reels and 25 fixed paylines, the slot is based on a monster theme. A bet varies in a wide range from $0.01 to as high as $100 per spin. The monsters on the reels look like a kind of animal hybrids and some other bizarre critters that are funny rather than scary. You will come across a half-cat-half-fly, a many-eyed yellow ‘piece of cheese’, a red toad with devilish horns, and other creatures as well as standard playing card symbols. 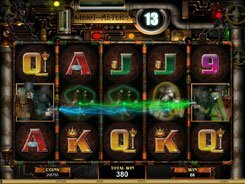 Along with a wild symbol, scatter and free spins, the slot boasts a unique Split Symbols feature. If you hit a winning combo that involves three or more monster symbols, each monster in that combo can split into five. 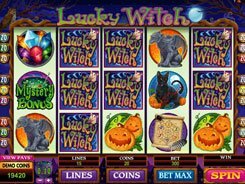 If you’re lucky enough, a five of a kind can morph into 25 of a kind, thus producing a massive win that can reach an eye-popping $64,000. 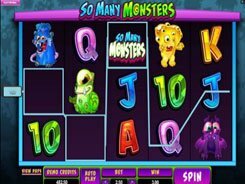 The slot has a free spins feature with a customizable volatility. 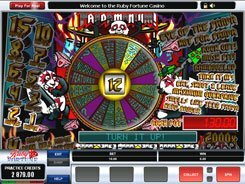 At the beginning of the feature you can choose one of the five options that vary in the number of free spins and a multiplier value. 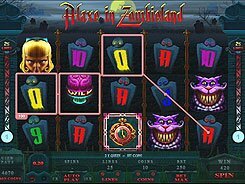 The less free spins you choose, the more a multiplier but the riskier the game, and conversely.